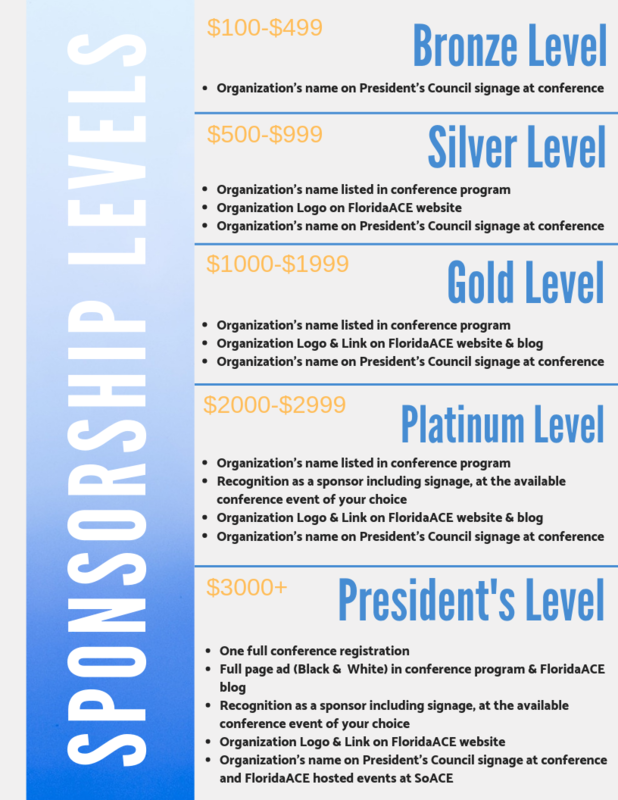 Sponsors have the opportunity to advertise their organization and support FloridaACE by becoming a member of the 2019 President's Council. Organization's will be featured in the 2019 Annual Conference and on our website for the remainder of the year. Complete the President's Council Form to become a sponsor! 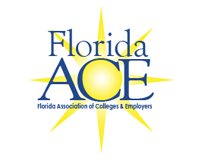 FloridaACE leadership works extremely hard every year to provide outstanding conference venues and speakers while remaining fiscally strong. The organizations continues to offer professional conferences at an exceptional value to our members. In order to do this year after year, donations to the President's Council are essential. We ask if you were able to donate last year, please try to continue your giving at the same level or higher! If you were unable to give last year, we hope you can find the funding to support the upcoming FloridaACE conference. Every dollar contributed will go directly to supporting the conference - your support makes a difference by helping us to provide quality programming to attendees.